This initiative enabled JICA and Sony to provide education and testing to counteract the spread of HIV/AIDS and other diseases. In cooperation with JICA, Sony Corporation used public viewings of soccer matches to promote HIV/AIDS awareness. Sony provided large screens, projectors, Blu-Ray disc players and waterproof speakers to air live matches of the 2010 FIFA World Cup in Ghana. 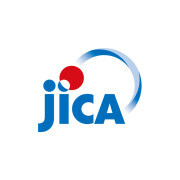 JICA offered viewers HIV/AIDS education, counseling, and testing before the matches and during the halftime. Stopping the rise of HIV/AIDS, malaria and other diseases is one of eight key Millennium Development Goals (MDGs) UN member nations are striving to achieve within the next five years. Established as an Incorporated Administrative Agency under the Act of the Incorporated Administrative Agency - Japan International Cooperation Agency (Act No. 136, 2002), JICA aims to contribute to the promotion of international cooperation as well as the sound development of Japanese and global economy by supporting the socioeconomic development, recovery or economic stability of developing regions. Sony Corporation, commonly referred to as Sony, is a Japanese multinational conglomerate corporation headquartered in Kōnan Minato, Tokyo, Japan. Sony is one of the leading manufacturers of electronics products for the consumer and professional markets. Sony Corporation is the electronics business unit and the parent company of the Sony Group, which is engaged in business through its four operating segments – Electronics (including video games, network services and medical business), Motion pictures, Music and Financial Services. These make Sony one of the most comprehensive entertainment companies in the world. Sony's principal business operations include Sony Corporation (Sony Electronics in the U.S.), Sony Pictures Entertainment, Sony Computer Entertainment, Sony Music Entertainment, Sony Mobile Communications (formerly Sony Ericsson), and Sony Financial. Sony is among the Worldwide Top 20 Semiconductor Sales Leaders and third-largest television manufacturer in the world.